It was Adam Decaria of Zu Audio on the phone with the big four - opportunity; timing; plans; changes. "As you know, those are all interconnected. In 2008, a big European importer approached us with an attractive offer to centralize our European distribution. We'd been secretly working with TangBand and Raal Ribbon to upgrade our treble units which had often been criticized for lack of refinement. We had long-standing plans to implement a full Grieve cartridge in the Druid. We wanted to address requests for wood finishes and grills. During 2008, we had invested heavily into a very sophisticated new paint booth and streamlined production capabilities. We've matured as individuals (laughs) to recognize our core abilities and where we're weak. In short, many things intersected. They suggested an opportunity for a quasi reemergence of our brand. It would incorporate lessons learned, mistakes admitted and requests answered. It would put various things on a common track and focus our core competencies on making an even better product. Plus, more advanced finishes. 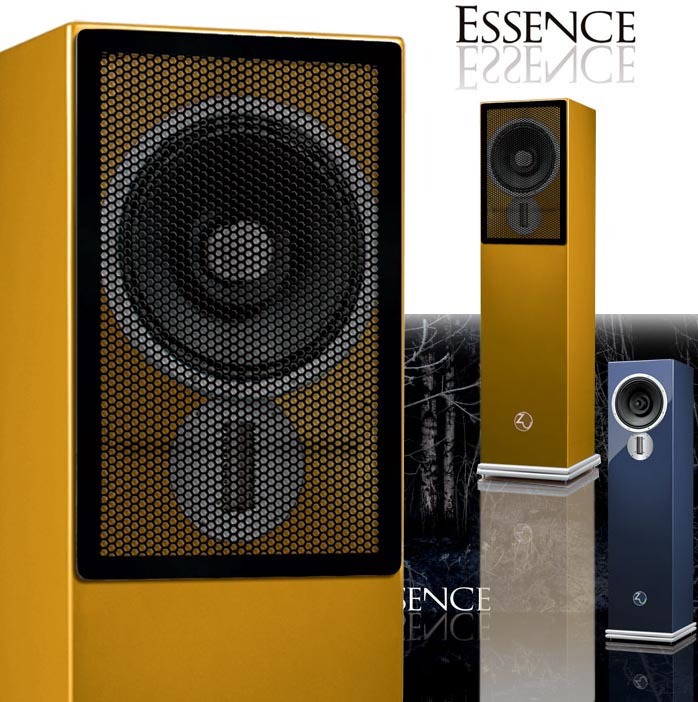 "As a result, 2009 will see a complete revamp of our line from speakers to cables; and exclusive support and growth of our dealer/distributor networks. Particularly in the US, we'd attempted direct sales, combining our own web portal with eBay and AudiogoN auctions. In hindsight, that was a mistake. Our forté is product design and manufacturing, not sales and marketing. If we had real talent at both, we could perhaps multi-task. But the truth for speakers is, you need to see, touch and experience them particularly when you're dealing with somewhat unconventional sonic values. Speakers need dealerships. Direct sales undermine that reality. That goes into the 'lessons learned' drawer. No more direct sales for us. "Also, there's been confusion about and critique of the Zu Sound. Some of it was self-inflicted because of poor communication on our part. Some of it could -- and now will -- be addressed with product refinements. 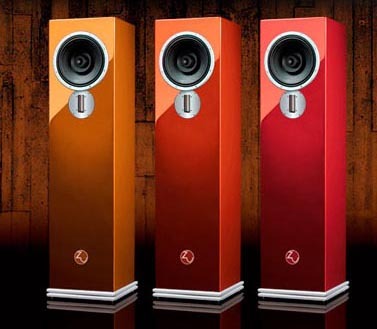 As you know, one strongly dividing line in modern hifi is how speakers address the treble. We've always opted for a more old-fashioned midrange-centered balance with dense tone and great dynamics. Admittedly, this sacrificed certain elements of sophistication yet was accepted as a matter of priorities. But what if we could have it all? "Learning about Alexander Radisavljevic's work on high-efficiency ribbons and having collaborated with Frank of Tang Band on another ribbon over the last year suggested that we could implement a truly fast and distortion-free tweeter of superior extension and resolution. This would inject the missing element of upper harmonic sophistication without compromising our core focus on tone density and dynamics. Put differently, we would increase the resolution of our speakers -- resolution seems to be the term that captures today's focus -- without betraying our vintage roots and company identity. "This would address the most common complaints about the Zu Sound. Because this transition to ribbons is a quite radical departure for us, the time was also right to revive other ideas we'd shelved because on their own, they weren't sufficient to warrant complete model makeovers. Our work on the SuperPly gel-coated Presence hull and how we incorporated those lessons into the Definition 2 now could inform new cabinetry across the board. 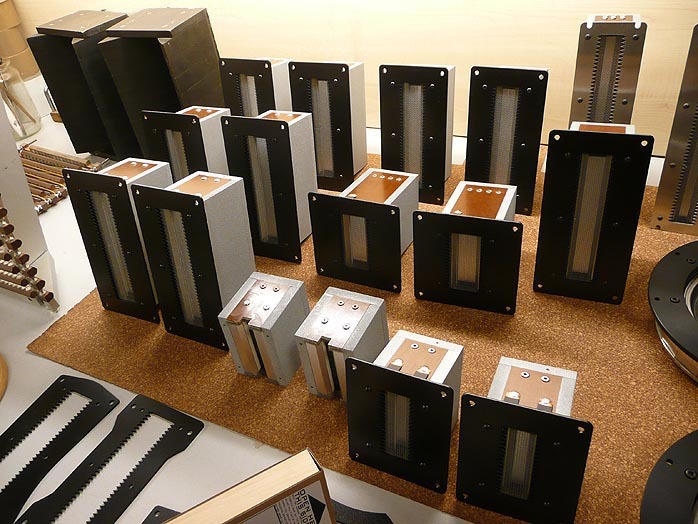 While redesigning the enclosures, we could implement certain form factor adjustments to make for an easier integration of Zu speakers in various living environments. We'd worked on refinements to our rebuilt Eminence widebander platform all along. We also had cable advances that asked to be implemented in the hookup wiring. In short, it was time to restructure the lineup and retire the Tone, Druid, Definition and Method models. Call it progressing from the spring of Zu to the summer of Zu. "The Druid of course put us on the map. The first new-line model had to be its replacement. So we call it the Essence. It combines the next-gen 12-ohm widebander we had developed for the Presence with a custom ribbon and a complete pyramidal module inset from below into the visible cabinet hull point up. This creates tailored air compression prior to evacuation similar to a motorcycle exhaust. It helps to solidify and extend the low-frequency reach of the widebander. It required enhanced cubic volume which led to form factor changes inspired by the Definition. It also required advances in our manufacturing capabilities to do it cost-effectively. For the Essence, we had to overcome the perceived bass deficit of the Druid and address its high-frequency extension and energy. We needed a wood-finish option and grills. So there's a definite evolutionary connection with the Druid but also enough separation to warrant a new model. Accordingly, the name advanced by one letter in the alphabet. "You guys in the press have always referred to us as the Zu boys (chuckles). Our love of motorcycles and punk certainly played into that. But the fact is, we're fathers. I have four kids, Sean three. They're growing up quickly and help us mature along with them. A rebellious stance doesn't help penetrate the system you wish to change. Change has to come from the inside. To get inside -- and I mean literally, inside dealer show rooms and homes -- we have to eliminate resistance and hurdles. Our attitude created resistance. Certain choices we made in design and distribution erected hurdles. We can't and won't change who we are or what we are about. But we can certainly mature and implement what we've learned along the way to straighten out the path going forward. "One obvious element somewhat out of step with the revamp is the Presence model which we introduced just last year. It's really too new to be retired. We expect it to rise again in made-over form to complement the new range. We'll only have one subwoofer instead of two and that will run a single 12" woofer with Hypex electronics. Back to the Essence, the first model in the new range. In profile similar to the Druid, its cross section is an 11" square. Hence the new form factor is reminiscent of the Definition, not the shallow half depth from before. The new two-layer plinth fixes the optimal gap height which loads the circumferential slot at the bottom. This avoids the performance variations we ran into with the Druid. Its air gap height was critical to bass performance but variable in spike length and support surface (high-pile carpet vs. parquet floors for example). Regardless of spike length and floor details, the new twin plinth will always perform optimally without user concerns or adjustments. "As the concept drawings indicate, the Grieve cartridge is a four-sided pyramid. As a function of geometry and space compression, it creates velocity acceleration of the back wave before it exits. The porous but hard foam of the pyramid allows sound waves to enter. Then they get absorbed by the core to not re-exit or at best, highly attenuated. The Grieve cartridge thus is a dual-function compression-chamber/absorber device. It's a more advanced implementation of the motorcycle exhaust technology we introduced in very basic form in the original Druid. Expanded finish options now include wood veneers to go beyond our previous paint palette for decors where wood simply works best. The ribbon mount plate, widebander ring and plinth can be black or clear-anodized. The posts are Cardas' patented block clamp. Cleanly removable grills hide the drivers from view for those who object to the naked look. Bass improvements in our Zu260FRD/G4 10.3" trademark widebander in 4th generation reduce voltage sensitivity for the Essence to 98dB/1w/1m but the impedance remains at 12 ohms nominal to make an easy load for tube amps. "Bandwidth is 33Hz to 50kHz. And we of course continue to match high-pass filter parts to 1% tolerance and fabricate all our custom trim bits from solid aluminum billet in the shop next door. ply to strengthen and damp the MDF baffle, reduce much of the MDF color, increase driver and mount rigidity and improve the overall tone. MDF is used for all outer plates ensuring a precise and flat surface finish. Real wood veneers are laminated to the MDF and in turn sealed and finished in either satin gloss or super high gloss. Also available is Zu Smooth Matte. That features a composite shell and the super-tough but good-looking Mankiewicz Alexit finish material. "Unchanged too from the Druid is the basic enhanced widebander concept. The big main driver runs wide open and is direct-coupled to your amplifier outputs without any intermediary capacitors, coils or resistors. But because that driver can't reach high enough, the TB/Zu ribbon takes over at 10kHz on a 6dB/octave shallow slope. So yes, there is a crossover on the tweeter and no, there isn't one on the 10.3 incher. Does that make it a zero-order design? Not by definition. But in practice, a 10kHz high-pass on the ribbon tweeter is so far outside the critical hearing range as to essentially constitute 'no crossover'. And that's most certainly true for the amplifier driving the Essence. It doesn't encounter any reactive parts anywhere in the power range of music. Plus, a ribbon by definition acts like a resistor to further minimize load effects. Technically, the Essence is a 2-way design. Practically, it's more of a 1.5-way. We're back to the enhanced widebander concept." The Gen 4 widebander, explained Sean Casey, was "designed to integrate effortlessly with the tone and character of the ribbon tweeter. The G4 features a new high frequency lens/phaser, which serves several functions. First, it works together with the inner whizzer cone to increase the driver's high-frequency hemispherical spray pattern measured as polar response. It also reduces phase divergence and increases high-frequency efficiency. By reducing the wave-to-ray acoustic gradient and widening the hemispherical radiating pattern (negatively known as beaming), the driver is better equipped to fill a wide space and match the characteristics of the ribbon tweeter, which naturally has a fairly wide dispersion pattern. Additionally, the phaser/lens design removes the inner void formed by the top plate/dustcap assembly common in all drivers that feature a dustcap archetype cone, thereby reducing a contributor to resonance distortion.